In spite of a growing number of luxury residential developers offering over-the-top add-ons such as discounted private jet rentals and IMAX movie theaters, a more functional amenity continues to drive buyers into New York City homes. As the great amenities arms race of 2016 trudges along, fitness centers are becoming the trump card for closing deals. Luxury residential buildings can no longer depend on charm and historical significance to attract buyers and renters. Residents are embracing health and fitness with their checkbooks, demanding a more appealing venue for exercise than dungeon-like basement spaces. “Today fitness centers are an absolute must in any new residential project. This is the age of living healthy and most buyers and renters are following the trends in both working out and eating healthy,” said Josh Schuster, the founder and managing principal of Silverback Development. In this edition of Broker’s Weekly, we look at the some of the most unique fitness centers in New York City residential buildings. Some of the most unusual elements include full-sized squash courts and massive lap pools. However, all the facilities offer residents the privilege of breaking a sweat without going outside. 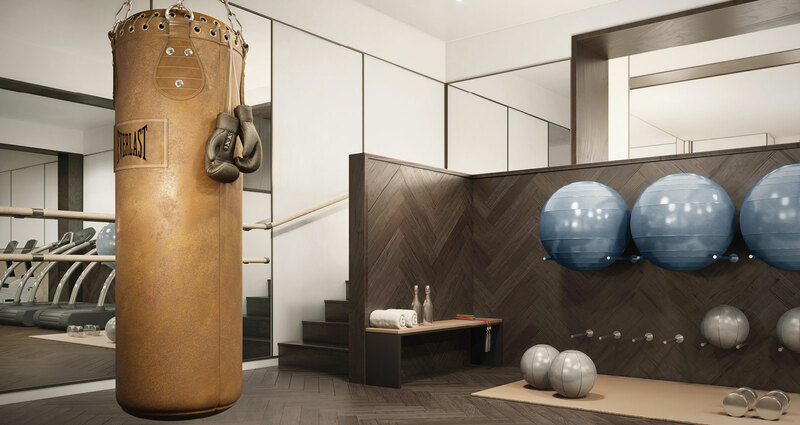 The Shephard is a luxury West Village condo that contains an extensive list of fitness amenities: a wood paneled gym, an indoor half basketball court, a bouldering wall for climbing, a Pilates studio and a golf simulator. Developer Naftali Group also added separate men’s and women’s steam rooms and a private, garden for early morning yoga session to soak up that last bit of summer sun. The property was previously a historic warehouse called the Shepherd House. When it was acquired in 2014, it contained 145 units. It has since been overhauled to house 38 units that include three penthouses. Prices in the building range from $4,350,000 – $29,500,000. 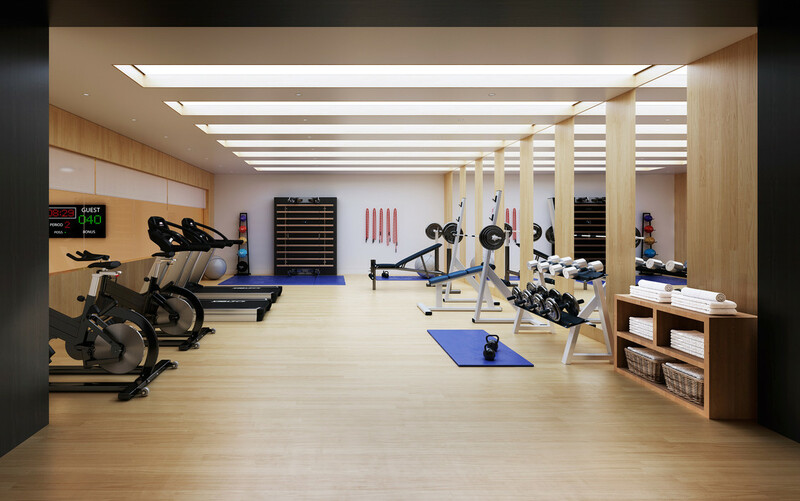 Naftali Group seemed to prioritize health and wellness for its 221 West 77th Street project. The headlining amenity in the building is the basketball court, which will allow residents to practice their skyhooks without visiting a public park. The space that the basketball court occupies can also be used for other purposes, such as tennis, yoga and dance. The building will also contain a gym, reinforcing the building’s health and wellness pitch. The 18-story building, which will contain 26 apartments ranging from two to five bedrooms. The development, once the site of a garage, will contain duplexes on the second and third floors and full floor apartments on the top six floors, according to a report from New York YIMBY. The condo project was designed by Danish architect Thomas Jul-Hansen. Prices in the building range from $4,050,000 to $22,500,000.